This two-day internationally recognised course has been developed to standardise the teaching of cardiac arrest and resuscitation management. Doctors, nurses and paramedics working in emergency or critical care or as members of the resuscitation/medical emergency team. This course is designed for healthcare professionals who would be expected to apply the skills taught as part of their clinical duties or teach them on a regular basis. All applicants must also hold a current clinical appointment and professional healthcare qualification. What will the course provide? The ALS-2 course focuses on developing advanced skills in managing cardiac arrest and other medical emergencies, and to develop leadership and team skills in managing such emergencies. The course emphasises the importance of teamwork prior to safe transfer into a critical care environment. The course consists of lectures, practical workshops and cardiac arrest scenarios, providing the opportunity to practice skills and apply knowledge. Upon successful completion of the course the ALS provider card will be issued by the Australian Resuscitation Council. The card is valid for four years, and is recognised Australia-wide and throughout the UK and Europe. Please contact simulation@ecu.edu.au for more information on course availability in 2017. 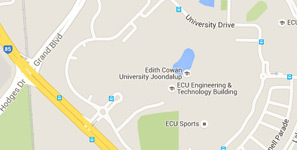 For full information download the ECU Health Simulation Centre - Terms and Conditions on Cancellations.